We are thrilled to share our first Horus submissions! Thank you to Mark Labarre for his poetry entry, "You Knew Us Before We Met", and to Claire Longworth for her essay "A second chance at forever home", about her sweet Renee. Please click here to read these wonderfully written submissions! Are birds your creative inspiration? ...then submit your work to Horus! 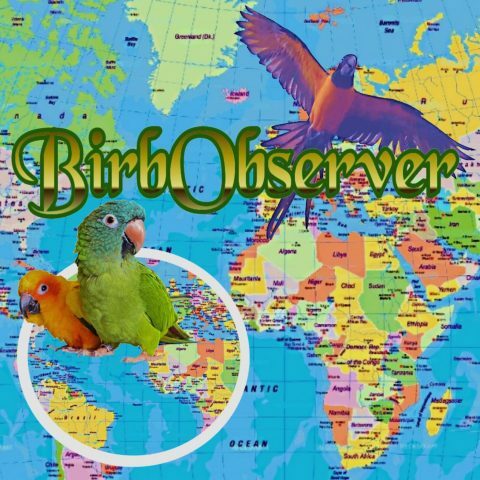 BirbObserver welcomes your writing and artwork about your own bird, wild birds - basically, anything about birds - real, fictional, mythical, etc. Send us your poetry, short essays, short stories, artwork, etc., and we'll post it on our Horus page for all to appreciate! Email your submissions to birbobserver@gmail.com Remember … Continue reading Are birds your creative inspiration? Horus is YOUR page, Horus belongs to you, our readers! You are invited to submit musings about your own bird, another bird, wild birds... basically, anything about birds - real, fictional, mythical, etc. Send us your poetry, short essays, short stories, artwork, etc., and we'll post it on Horus for all to view, read and appreciate! … Continue reading Welcome to Horus! Coming Soon – New Page Devoted to Your ‘Ode to Birbs’! Coming January 2018 - our new Horus page, devoted to YOUR 'ode to birbs' writing. Do you write poetry, short stories, verse, etc., about birbs? If you do, we want to hear from you in the new year! Here's your chance to share your literary musings about your birbs or birbs in general. Stay tuned … Continue reading Coming Soon – New Page Devoted to Your ‘Ode to Birbs’!